It's a whole continent, albeit the smallest one in the world. If you click on the picture to enlarge it, you'll notice that below the mainland, there is an island labelled Tasmania. 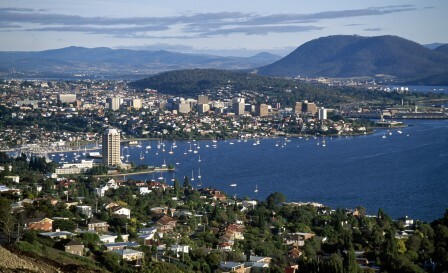 The state capital of Tasmania has also been labelled: Hobart. Right at the edge of the island. 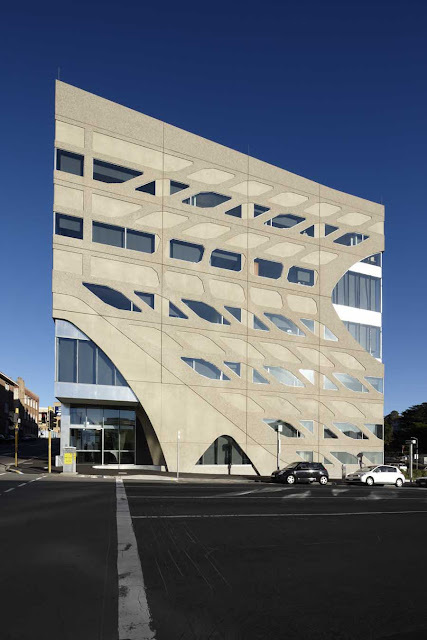 Also located in Hobart is the weird-looking building that houses University of Tasmania's School of Medicine. From certain angles, it looks a bit like Swiss cheese that melted after being left in the sun too long. I think you see what I'm getting at now. I remember thinking that I was never (no-way-in-hell kind of 'never') going to get into UTAS. Twice, I went for the Study in Australia fairs at The Gardens Hotel; twice, the same guy from UTAS told me that my chances of getting accepted for Medic were slim since they only took in about fifteen international applicants, so I should have a backup plan...how about [insert course here]? Both times, I said no (to disapproving looks), because Medicine was all I wanted to do and I wasn't at all interested in anything else. You could call it determination or inflexibility, as it was both a blessing and a curse. I consider myself lucky to have known for a long time what I want to do with my life and more or less how to go about making it happen. On the other hand, it involves resolutely refusing to look into or apply for other 'backup' courses. Also, as a parent, what are you supposed to do when your kid goes "Hey, mom and dad, I want to do one of the longest, hardest, most expensive courses there is... Oh, and I want to go overseas to sort of broaden my horizons."? 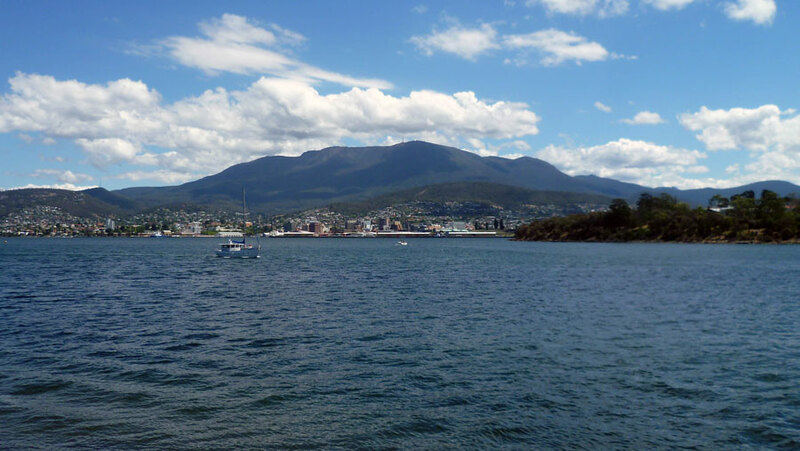 Incidentally, Hobart has a beautiful horizon. I am both nervous and excited about leaving. In all honesty, though, right now I'm just numb. The fact that I got in took no time at all to sink in, but the fact that I'm leaving is taking a little longer. We bought luggage bags the other day, and I got some warm clothing. Shopping for warm clothing was weird, as I'd never done it before and it was a reminder that I'm actually really going. There was all that running around to sort out a lot of application stuff (my mother had to drive me to Putrajaya and back on her birthday), but it was easy to forget what it was for in all the rush and chaos. Clothes shopping, on the other hand, is laid-back and leisurely, giving you ample time to think about what you need the clothes for. The thought of winter makes me uneasy. I'm the kind of person who feels cold walking around 1 Utama, so when I heard that temperatures can reach 0°C over there, I kind of gulped a little. If you happen to be in Hobart during winter and see what appears to be a walking bundle of thick fabric, that would be me. "What do you mean it's only autumn?!" Also, if you're at the chocolate factory and see a girl struggling to carry a tottering pile of chocolate, that would be me fulfilling my family's demands before going back for the holidays. I give you permission to call me Charlie, just that once...but only if you help me carry stuff. So that is my exciting piece of news that I didn't want to blog about till we paid the acceptance fee. Thanks to my mother's scary efficiency, all that's left to do is my visa application and booking flights. And figuring out what to bring and stuff, but that comes later. Much later. Friendly reminder: I don't leave till February, so I don't want to hear about farewells or anything like that as long as it's still 2012.